Pros & Bronze 3 coats. This one is very pretty. It's packed with gold, bronze and even pink glitter and it dries very smooth with a metallic looking finish. Love is a Racket 2 coats. 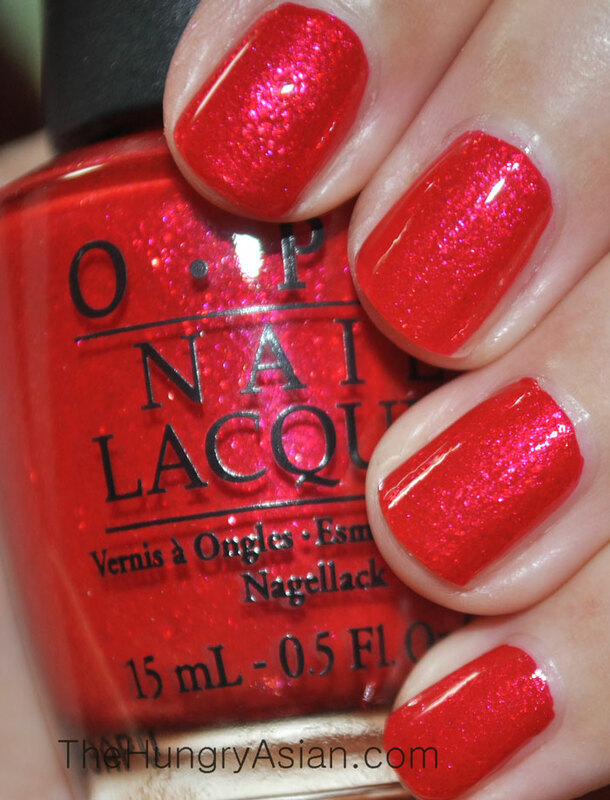 Very bright shimmery red. So bright it was difficult to photograph. It was a nice pink and golden shimmer. 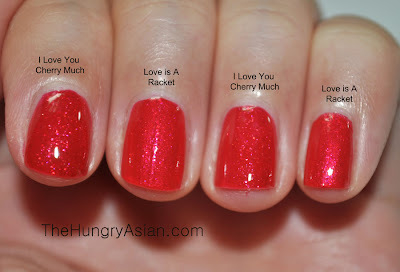 This is very similiar to I Love You Cherry Much by Nicole by OPI. Here is a quick comparison. To the naked eye, I personally don't think there is any noticeable between the two. There is a tiny difference in the shimmer in ILYCM, it's more glass fleck-y and it is just a tad more deeper red as well. I mean I'm really nitpicking here. I liked Pros & Bronze even though it wasn't as opaque as I would have liked it for wearing alone. 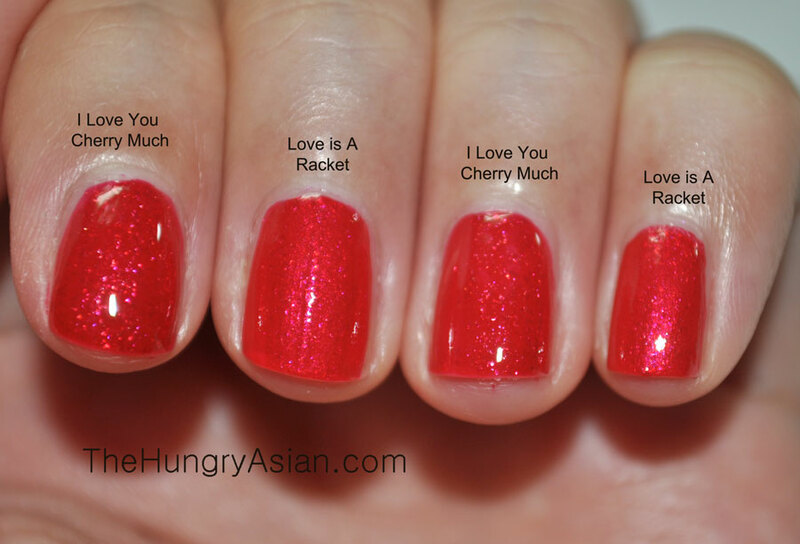 Love is A Racket is a pretty red color but I think I Love You Cherry Much is a better version of it. Both applied very well and dried fast. I love both reds! (I love most reds.) Nice comparison!